YKWA Contemporary Issues in Frankfurt, 30/11/2018 – Young Königswinter Alumni e.V. 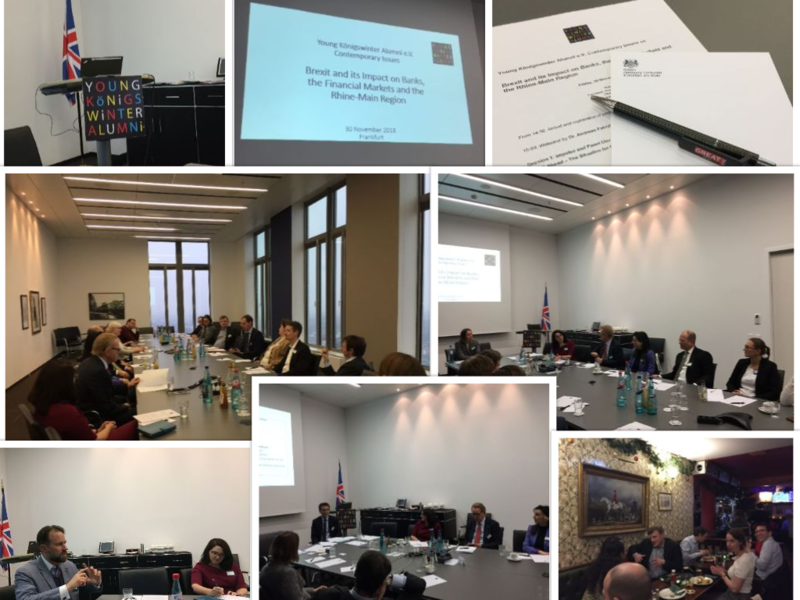 A few impressions of our first YKWA Contemporary Issues Event in a while on “Brexit and Its Impact on Banks, the Financial Markets and the Rhine-Main Region”. Thanks to all speakers, alumni and guests for joining us in Frankfurt on 30 November 2018 and to our host the British Honorary Consul Dr. Andreas Fabritius.